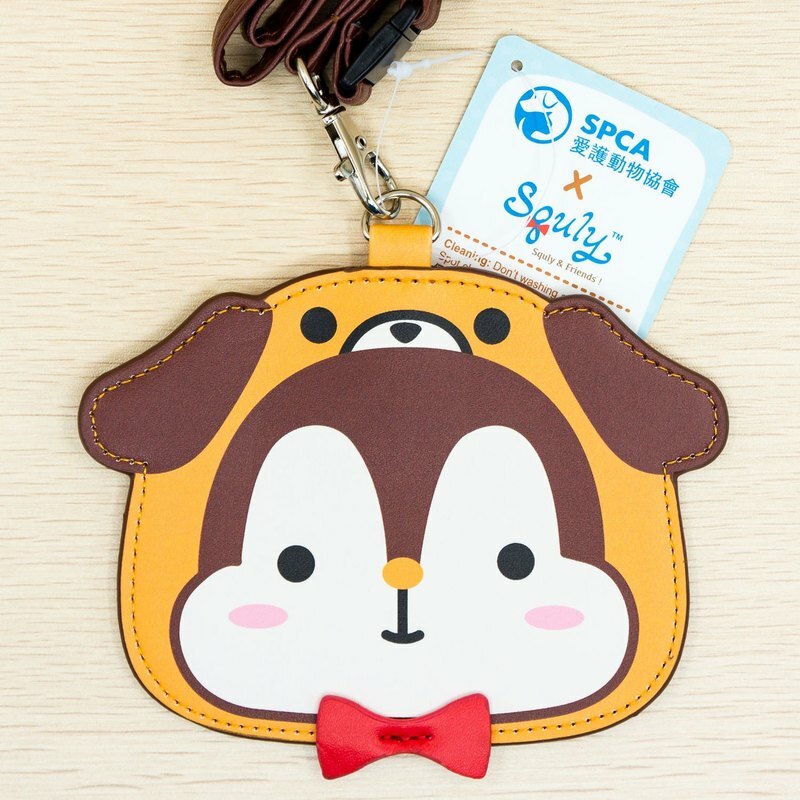 HK SPCA x Squly & Friends special edition PU leather badge holder with lanyard. Part of proceeds will be donated to HK SPCA. The adorable Squly dressed as a dog motif empathizes the message of animal protection. The badge holder can contain an Octopus card (or any kind of fare card) and work pass (with transparent window), and the lanyard has a safety measure to avoid entanglement. Size is around 13.5cm wide and 11cm tall, while the lanyard measures around 87cm. Net weight: 46g Shipping weight: 90g Squly & Friends is Champion of 2014 Comic World Hong Kong 38 Original Character Design Competition. Remarks: Free Shipping: Will ship out with Surface Mail, No Tracking Number, Buyer Bear the Risk of Lost. Optional: We can ship with Air-Mail or Express, please mark it when place order or contact us for more detail.